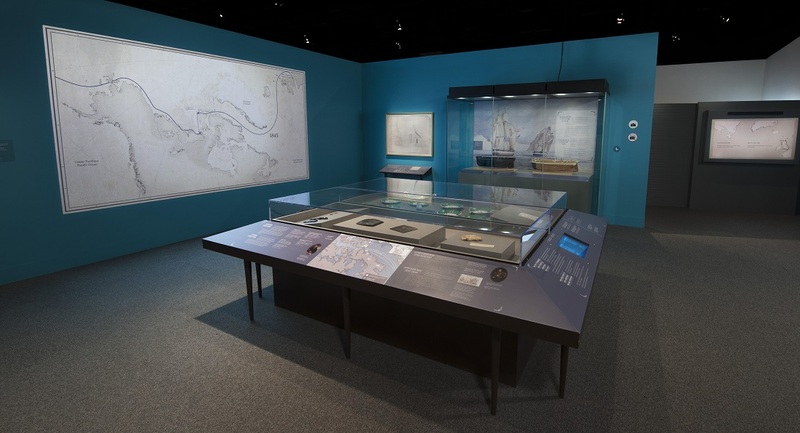 A Casio 4K Projector — a Casio XJ-L8300HN — displays an interactive history of the Franklin expedition in ‘Death in the Ice’ exhibit. For more than 170 years, the fate of Sir John Franklin and his attempt to establish a sea route through the Northwest Passage, has been wrapped in mystery. 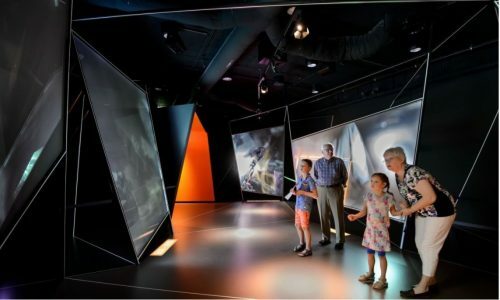 But now the Franklin Expedition exhibit at the Canadian Museum of History reveals a wealth of information gleaned from the expedition’s two ships — with the help of a Casio 4K projector. The HMS Erebus and Terror were located in 2014 and 2016 with the help of the Inuit people. “’Death in the Ice’ is a fascinating exhibit,” says Jean Couture, AV Specialist at the Museum. Along with 63 artifacts from the Franklin expedition, including dishes, tools, naval hardware, letters home and notes left for future searchers, are photos, paintings, ship models and a number of audio and video exhibits, including a huge, strikingly beautiful animated map projected in 4K using a Casio XJ-L8300HN laser projector. Why the Casio 4K Projector? Couture says he chose the Casio based on a combination of features, price and performance, plus the Museum’s five-year experience with Casio LED/laser hybrid projectors. Couture is responsible for the exhibit technology used by both the Canadian Museum of History and the Canadian War Museum, located directly across the Ottawa River in Ontario. He has been buying Casio LampFree projectors for both museums since 2013 and now has more than 40 in his inventory. “We put them in a wide variety of temporary and permanent exhibits,” he explains. Couture also appreciates the color consistency of the LED/laser light source. The problem, he says, is that the color produced by lamps will shift as they age, and their high heat can also cause degradation of the projector’s image-producing components. Couture tells a story where, because of an unnoticed problem with a control system, six Casio XJ-M240 projectors were left on 24/7 for about three years. He notes, too, that he saw no reason to retire the projectors once he discovered the problem. All six are still in inventory. In another case, a projector failed at 21,000 hours, outside the 10,000-hour limit of the warranty, but well within its five-year term. Casio decided to replace it at no charge. One of the most intriguing aspects of the Franklin expedition story is the mystery of its ending. Although the ships were packed with food, the crew felt compelled, after 18 months in the ice, to try a trek to safety. Over the next 32 years, the British Admiralty launched more than 30 expeditions to try to learn their fate, but they found few traces. “Death in the Ice” includes a detailed, animated map that shows the hoped-for Northwest Passage, the progress of the failed voyage, the rescue attempts and other explorations. To show it, Couture and his team decided to create a 14’ image using the Casio 4K projector. “We wanted to show fine detail in a very large format, and we wanted people to be able to walk right up to the map without noticing the pixels,” he explains. Couture says he first considered another projector costing $56,000, but then discovered the Casio XJ-L8300HN, available for less than a seventh of that price. He and his team ceiling-mounted it, focusing it onto a wall painted with Screen Goo high-contrast material. The decision to purchase the Casio, he says, was based less on its cost than its sharpness, color rendition and ability to meet the requirements of the exhibit. 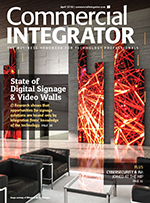 “It’s 5000 lumens, has lens shift, HDBaseT and Crestron compatibility, everything we needed,” he explains. Given the museums’ track record with Casio, the choice was obvious. In addition to the Casio 4K projector, Couture is using a smaller Slim Series LED/laser hybrid in another part of the exhibit. His team set it up to project images through the lens of a replica magic lantern. “It’s perfect because of its size,” Couture says. So far, he adds, both the 4K laser and the LED/laser hybrid have performed flawlessly. “We did discover that we needed a firmware upgrade for the laser, to work with the latest Crestron controller,” he recalls. “I was expecting to do the upgrade ourselves, but Casio sent people from their service center in Toronto and just took care of it. “Death in the Ice” Franklin expedition exhibit runs through September 30, 2018.